The House's Energy and Commerce Health Subcommittee on Wednesday discussed a number of pending healthcare bills including a bipartisan bill that would make it easier for children battling serious and complex medical ailments to receive care. For years, states have used the health home model to improve coordinated care for Medicaid patients. However, under current law, states couldn't submit plans to the CMS for a health home model that targeted children. HR 3325, the Advancing Care for Exceptional Kids Act, known as the ACE Kids Act, which was co-authored by Reps. Joe Barton (R-Texas) and Kathy Castor (D-Fla.), would do away with those prohibitions. "Enabling children to access more of their care in their own communities is critical to improving patient experience," Rick Merrill, CEO of Fort Worth, Texas-based Cook Children's Health Care System, told lawmakers at the hearing. Merrill is chair of the Children's Hospital Association, which represents 220 pediatric hospitals nationwide. Pediatric health homes established under the ACE Kids Act will make it easier to coordinate care, Merrill said. The bill would carry funding to give states incentives to establish these models by providing a higher Medicaid federal match for care coordination services. Insurers offering managed-care plans have pushed back against prior versions of the legislation, as they appeared to favor taking kids out of managed-care offerings and putting them into a fee-for-service home health models that lacked the same quality monitoring and oversight required of Medicaid managed-care plans. Medicaid enrollment in managed care increased by 56% from 2013 to 2016, jumping from covering 35 million beneficiaries to 54.6 million. 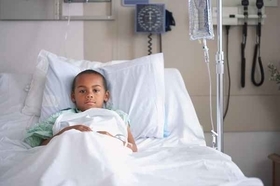 Approximately 36% of children and youth with special healthcare needs are enrolled in Medicaid or the Children's Health Insurance Program, according to federal data. At the hearing, Matt Salo, executive director of the National Association of Medicaid Directors, offered tentative support for the ACE Kids Act if it gave states maximum flexibility to implement the models as they saw fit. "Across states, healthcare cultures and healthcare systems are different and (this law) has to be cognizant and respectful of those differences," Salo said.